Unfortunately, academic conversations are rare in many classrooms. Talk is often dominated by the teacher and a few students, or it does not advance beyond short responses to the teacher's questions. Even certain teaching approaches and curriculum programs neglect to train students how to maintain a focused, respectful, and thoughtful conversation. 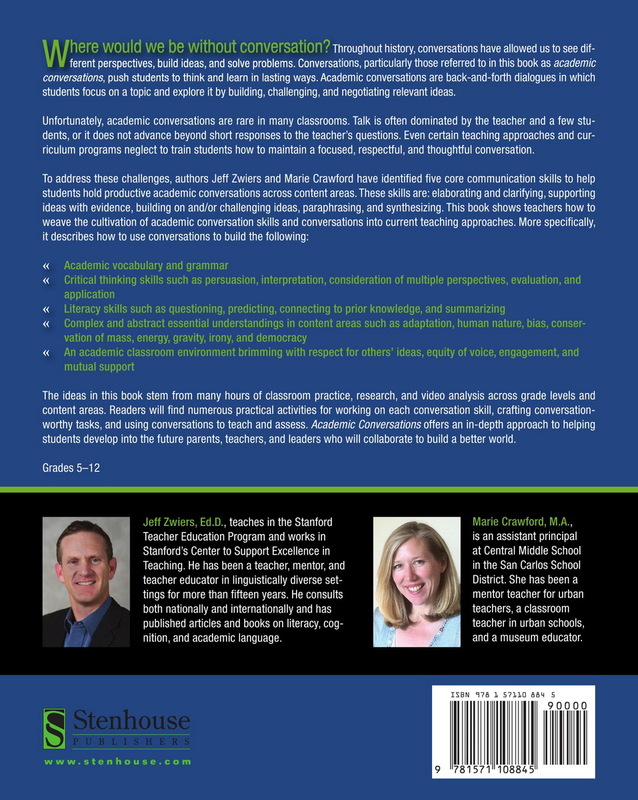 The ideas in this book stem from many hours of classroom practice, research, and video analysis across grade levels and content areas. 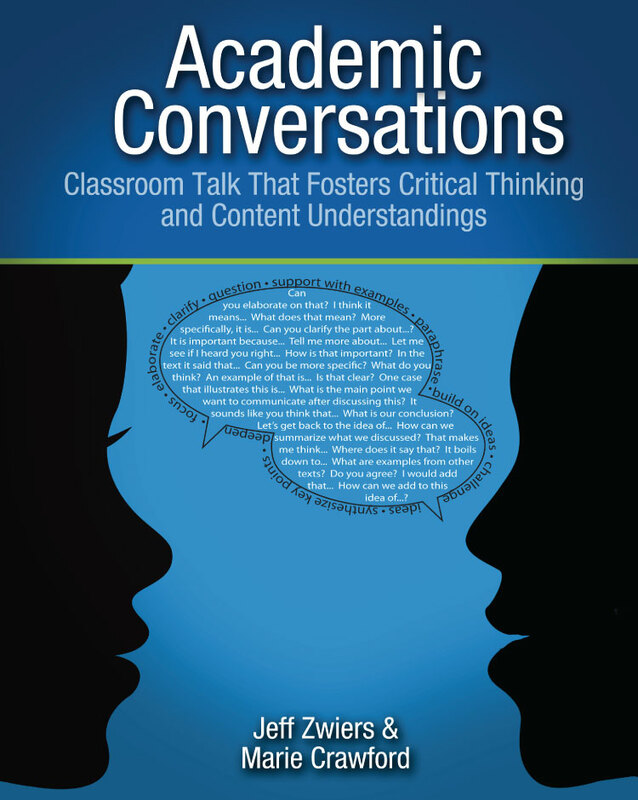 Readers will find numerous practical activities for working on each conversation skill, crafting conversation-worthy tasks, and using conversations to teach and assess. Academic Conversations offers an in-depth approach to helping students develop into the future parents, teachers, and leaders who will collaborate to build a better world. Marie Crawford is an assistant principal at Central Middle School in the San Carlos School District. She has been a mentor-teacher for urban teachers, a classroom teacher in urban schools, and a museum educator.